To Get Rid of Pests Today! 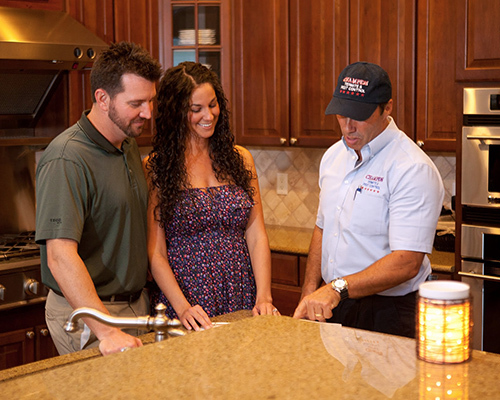 When it comes to pest control, only one thing matters – results. If you have your home treated and the pests just keep coming back, then what’s the point of the treatment? That’s why Champion Termite & Pest Control offers a 100% guarantee on all of our pest control services. Whether you have spiders or scorpions, bed bugs or beetles, we will treat your home and leave it completely free of pests. If you spot a pest after one of our treatments, we’ll come back and treat your home again at no charge. We want your home to be entirely yours, and we’ll keep coming back until you are completely satisfied that the pests are gone. Contact us today 386-329-9700 and get $25 Off Initial Once-A Year Pest Control. From the little pests to the most dangerous insect invaders, we can help you. We will identify what pests are in your home and the level of infestation, then take the necessary steps to get rid of the pests for good. With this 12-step program, we guarantee that your home will be pest-free all year. To learn more or to schedule an appointment, contact Champion Termite & Pest Control or call 386-329-9700! Pests tend to invade your home at the same time every year. That’s why we recommend our annual pest control services to ensure that your home stays pest-free all year round. We use environmentally friendly baits instead of poisonous sprays to deal with pests and keep them out of your home. Contact us today to get more information 386-329-9700.